Tech Transformation: Happy 4th Birthday! 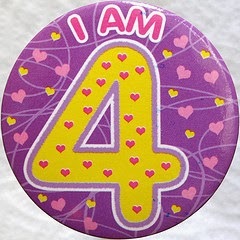 My blog is 4 years old today! I first started writing it at a previous school after persuading the powers that be of the need to give up fixed computer lessons of 40 minutes per week and to move to a flexible schedule where I could be booked to help teachers to integrate technology. I wrote because I wanted to document this journey, get feedback from others, to learn and share that learning with those teachers who also wanted to make changes to traditional paradigms. 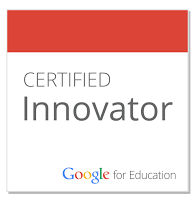 During the past 4 years I have been writing, I've also developed a professional learning network made up of like-minded educators from around the world, who encouraged me to push forward with my dreams of how technology can transform learning. This PLN inspired me to continue to write about what I was doing and eventually some of them also were fundamental in helping me to leave a school where there were limited opportunities for professional growth and move to one where the opportunities are outstanding. A year and a half after making the move I have been involved in establishing a BYOD programme in our elementary school as well as a mobile devices prototype. As part of the R&D core team at ASB I have looked at internships and am currently looking at new models of professional development. Last year we completed a tech audit, and this year we are driving forward with personalized PD for all our teachers and assistants. I am so happy here at ASB - it's such a dynamic place with a "can do" attitude that is totally focussed on providing the best possible education for our students. It's wonderful to be in a place where I feel valued and where I know I can add value. I have also been given so many great opportunities for professional growth myself and today, 4 years to the day after starting this blog, it has just been announced at the faculty meeting that next year I will have a new title and job description at ASB: Director of Educational Technology. I wonder if I would have got to this position without my blog - without writing and reaching out and meeting people who encouraged me to move to a place where I could flourish. For sure this would never have happened at my old school. I left Switzerland with very mixed emotions but I remember thinking everything will be alright in the end. I have the feeling that this is still not yet "the end", but for sure everything is alright! I decided I'd celebrate the 4th birthday of my blog by sharing 4 of my top posts over the past 4 years. These posts continue to get hundreds of hits each day. In June 2013 I returned to Switzerland for a visit, meeting up with friends there after being away for a year. Following the comments from these ex-colleagues I decided to write a post about what my role had been as a tech integration specialist. Many of these tasks were not part of any official job description, but together these are what led to me being able to support and encourage the use of technology by teachers. What is the role of a Tech Integration Specialist? I hope you enjoy looking back over these posts and celebrating my blog's 4th birthday.